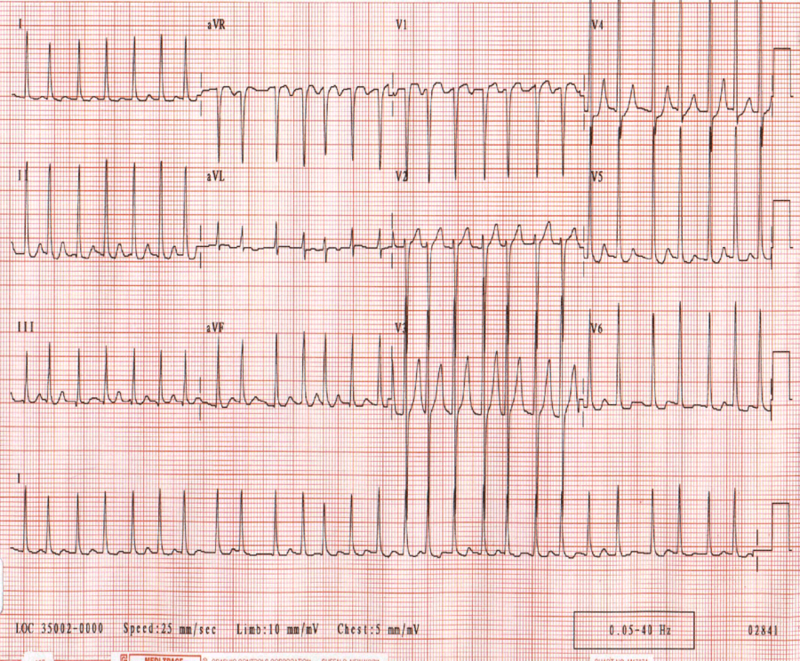 One of the most unfavorable complications of cardiac arrhythmias is atrial fibrillation. In medical practice, it is more commonly known as atrial fibrillation, as well as atrial fibrillation. At this condition, the patient rapidly contracts the atrium, which can lead to severe consequences, so it is important to stop the attack in a timely manner. Atrial fibrillation (MF) is the most common cardiac arrhythmia. Today, it affects 2.7 to 6.1 million people in the United States. The development of MF in many respects depends on age, therefore, 4% of people are over 60 and 8% over 80 years old. Approximately 25% at the age of 40 years and older is marked by the development of MF throughout life. In childhood, MF occurs rarely, with the exception of cardiosurgical situations. The incidence of MS is significantly higher in men than in women of all age groups. The disease is more common among white race people than among black people. In spite of this, both cases require careful treatment and prevention of recurrence of arrhythmias. The atrial flicker is an abnormal heart rhythm that occurs when electrical impulses come from different atrial portions (upper chambers of the heart). As a result, the heart begins to work disorganized. This leads to the fact that the atrium is often contracted and an irregular heartbeat or pulse is felt. In severe cases, flickering of the atria leads to stroke development. MS is characterized by irregular and often rapid heart contraction. Exact mechanisms by which cardiovascular risk factors predispose to MS are not fully known, but are under intense research. Redundancy of catecholamine, hemodynamic and metabolic stress, ischemia and atrial fibrillation, activation of the neurohumoral response of the organism often contribute to the development of MF. In 10-15% of cases, MF occurs in the absence of concomitant diseases. The frequency of ischemic stroke in patients with nonreumatic MP is on average 5% per year. The relative risk of developing stroke with MS is 1.5% for patients aged 50-59 years and is approaching 30% for patients aged 80-89. Women are at higher risk of stroke due to MI than men. The increased pressure within the atrium leads to its electrical and structural remodeling, which causes the MP. The most common causes of elevated pressure in the atrium are damage to the mitral or tricuspid valve and left ventricular dysfunction. Systemic or pulmonary hypertension also contributes to an overload of the atrium. Much less commonly occur intracardiac tumors or thrombi that change hemodynamics of the heart. Also known as coronary artery disease. May contribute to the development of ischemia of the atrium and ventricles. It is in the second case that most often increases intracardiac pressure, and on the background of this develops MP. 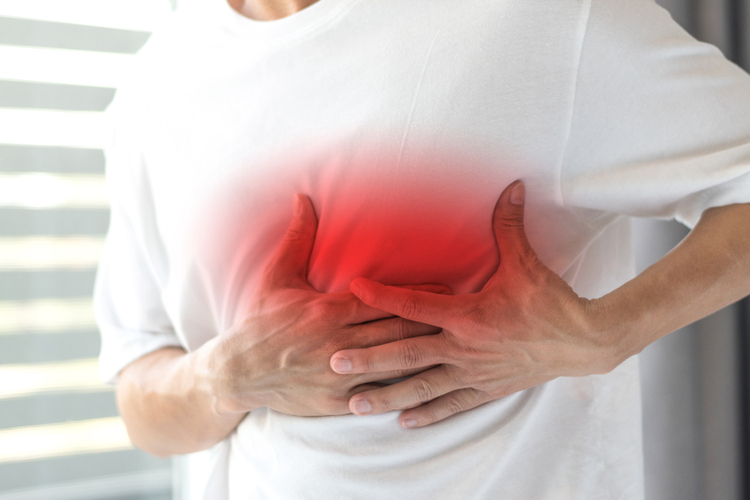 Myocarditis and pericarditis can be idiopathic or arise against a background of vascular diseases, connective tissue disorders; viral or bacterial infections. All these disorders can be a cause of MS. Also, cardiac, esophageal or thoracic surgery can provoke the appearance of an MI. MP can cause hyperthyroidism, diabetes and pheochromocytoma. Intracranial pathologies such as subarachnoid hemorrhage or stroke may contribute to the appearance of MF. Transmission of MF due to heredity may be associated with certain anomalies of the ion channel, especially with sodium channels. Also, in some studies, it is assumed that family MS often depends on the increased risk of the disease, which is not fully understood. Perhaps, most of all other causes matter the age of the patient. It is known that 4% of persons over the age of 60 years and 8% of people over 80 years of age are defined by the MP. Paroxysmal atrial fibrillation - episodes of MS are observed, which end spontaneously for 7 days (most episodes last less than 24 hours). Persistent fibrillation of the atrium - attacks of arrhythmias that last for more than 7 days and may require resection by pharmacological or electrical intervention. Long-term persistent flickering of the atrium - the symptoms of the disease persist for more than 12 months either because of a failed cardioversion, or if cardioversion was not timely undertaken. Continuous Atrial Flicker - Further strategies for restoring the rhythm have been interrupted after taking common clinical decisions. This classification scheme is most often used in cases not related to the reversible cause of MS (for example, thyrotoxicosis, acute intoxication with ethanol). Atrial fibrillation is considered to be a recurrent pathology when a patient has 2 or more attacks. If the recurrent MP terminates spontaneously, it is called paroxysmal. It has been found that in some patients with paroxysmal MS, usually younger, there are clear electrically active foci in the pulmonary veins. At the same time, there was a large number of atrial premature impulses marked on the Holter monitor. Isolation or elimination of these foci allows to eliminate trigger activity, which promotes paroxysms of MP. Paroxysmal MT may progress to a stable form of the disease. In such cases, aggressive attempts to restore and maintain sinus rhythm can contribute to the development of concomitant diseases associated with MF. If the recurrence of atrial fibrillation persists, it is considered to be persistent, regardless of whether the arrhythmia is discontinued by pharmacological therapy or electrical cardioversion. Persistent flickering of the atrium can be either the first sign of the disease, or the result of repeated episodes of paroxysmal MP. Patients with persistent MS also include patients with perennial paroxysms who did not undergo cardioversion or developed a permanent MS after it. This form of MS develops for more than 12 months, but there is a decision to restore sinus rhythm. The main goals of the treatment are to control the rate of heart rate and anticoagulation. Signs of flickering atrium persist for a long time, more than one year. In this case, cardioversion could be carried out, but in such cases it is often ineffective. Alternatively, cardioversion could not be performed at all. The atrial flicker usually results in the lower chambers of the heart, the ventricles, contracting faster than usual. When this happens, the ventricles can not completely fill with blood. Thus, they do not pump blood sufficiently into the lungs and throughout the body. This can lead to signs and symptoms. Clinical manifestations of atrial fibrillation cover the entire spectrum from asymptomatic flow to rapid development of cardiogenic shock or cerebrovascular injury. In the asymptomatic course of the disease, the most common symptom is the stroke, which manifests itself as dizziness, severe weakness, "flies" in front of the eyes, numbness in the body. The second - the usual way of life is not disturbed, although the mild symptoms of the disease are determined. The third - the normal life activity is broken due to the expressed signs. Fourth - the patient can not perform the usual work because there are signs of disability. Irregular ventricular contractility (QRS complexes) is observed. High risk factors: pre-existing stroke or transient ischemic attack (TIA), systemic thromboembolism, or age 75 years and older. 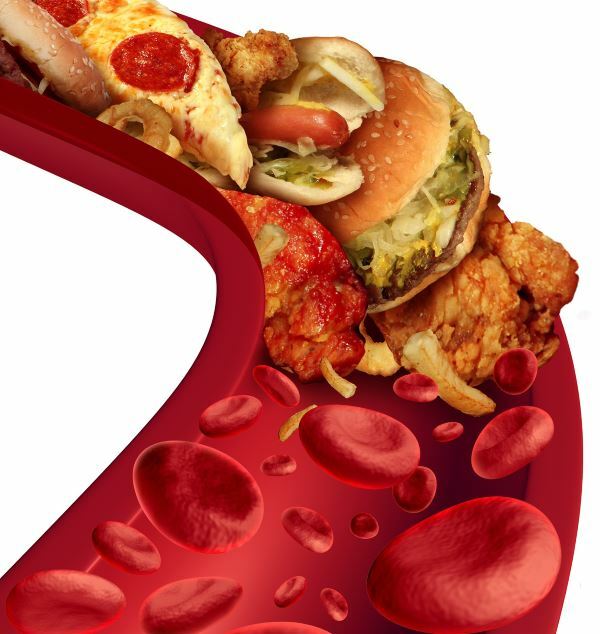 Moderate risk factors: age 65-74, female gender, hypertension, diabetes mellitus, heart failure, arterial disease (preinfarction state, peripheral arterial pathology, aortic plaque). Anticoagulation therapy is mainly carried out by warfarin. If necessary intravenous heparin and low molecular weight heparin are used. There are also new-generation oral anticoagulants that represent an alternative to heparin. They are most commonly prescribed to patients with non-vascular MP. Their action is almost instantaneous, eliminating the need for binding to heparin. Blood Clotting Factor III Inhibitor: rivaroxaban, apixaban, edoxaban. Patients with symptomatic paroxysmal MT, which is susceptible to drugs and methods that control the rhythm. For the treatment of patients with symptomatic persistent IB, which can not be cured with the use of appropriate drugs. As an alternative to patients with relapsing symptomatic paroxysmal MP who had not previously tried a drug that controls the rhythm. Atrial fibrillation has two major complications - stroke and heart failure. During MP, the upper chambers of the heart, the atrium, do not pump the proper volume of blood into the ventricles. Some blood remains in the atria. When this happens, a thrombus may develop. If a clot falls into the general bloodstream and moves into the brain, it can cause a stroke. (A blood clot that forms in one part of the body and moves with blood flow to another is called embolus). 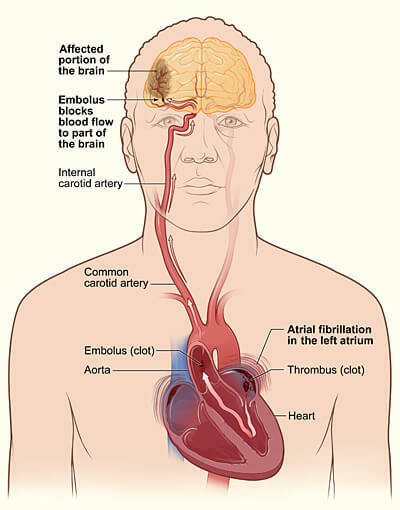 The figure shows how a stroke can occur during atrial fibrillation. Heart failure occurs if the heart can not pump enough blood to meet the body's needs. MP can lead to heart failure, because the ventricles are reduced very quickly, which is why they are not completely filled with blood. Thus, they are not able to maintain blood circulation at the proper level. 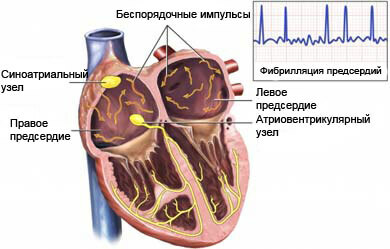 Persistent MS with an uncontrolled fast heart rate of the ventricles can cause such complications as dilation cardiomyopathy and lead to electrical remodeling in the atria (atrial fibrillation) The therapy in the form of atrioventricular node modification or permanent implantation of the pacemaker, for controlling the contractility of the ventricles, can improve their function and quality of life indicators. Atrial fibrillation is associated with an increased risk of developing dangerous complications and mortality, partly due to the increased likelihood of developing thromboembolic lesions expressed by stroke. A favorable prognosis is given in the case when the MP is able to restore sinus rhythm as soon as possible. The development of atrial fibrillation contributes to the onset of heart failure, and when it is present, the severity of CH is deteriorating. Also, MF can complicate the course of heart failure in patients who depend on the atrial portion of cardiac out put. When determining the patient's hypertension and heart valve damage, the risk of developing heart failure in the onset of MI increases. In addition, MS can cause cardiomyopathy-mediated tachycardia, especially if proper treatment is not performed. You need to stick to dietary nutrition (DASH diet) with low saturated fats, trans fats and cholesterol. 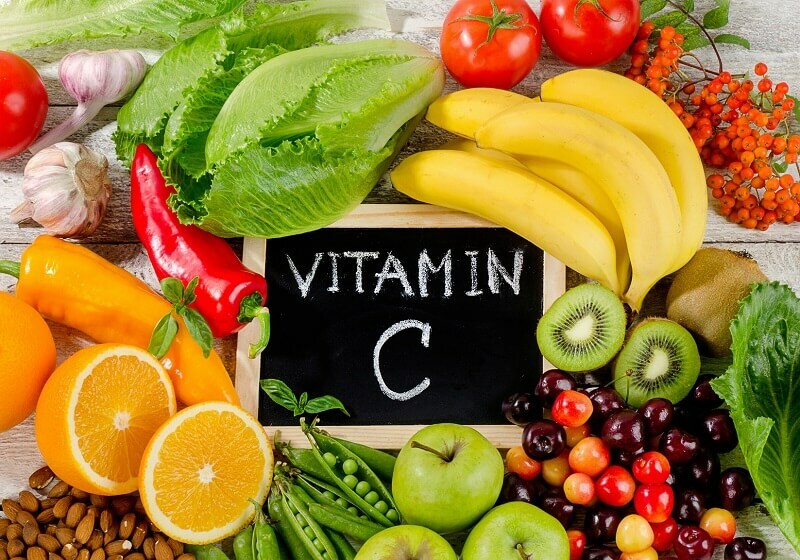 Healthy foods include a variety of whole grains, fruits and vegetables every day. It is important to allow permissible physical activity. Worth supporting the weight within the normal range. If other heart disease or risk factors are detected, it is advisable to consult a physician to properly manage your condition. It is necessary to restrict or avoid drinking alcohol. It is important to monitor blood sugar, especially if diabetes is detected. 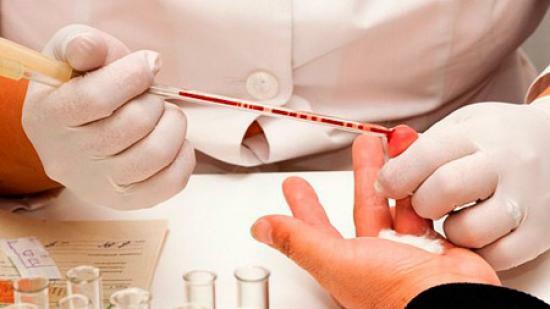 It is necessary to undergo regular medical care and to take medication in accordance with the requirements.